Below we have answers to questions that people have asked. Please if you have a question that is not addressed here, email thefrogladies@digitalfrog.com with a detailed description. I did not specify Mac or Windows when I ordered – how will DFI know to send the right version? The download page allows you to choose Mac or Windows programs – if you have a license for more than one computer, you can download both and install on both platforms. Where is the program I just downloaded? That depends on the set up of your computer – most have a default Downloads folder/directory. If you cannot find it, search on the name of the program. Do I need to run an installation program? Yes, on Windows computers; you will need to run the relevant setup.exe and follow the instructions. The short cut will be placed on the desktop, other files will normally be placed in C:\Program Files (x86)/DFI Software. No, on Macintosh computers; you will need to expand the .dmg (disc image) and copy the files to wherever you want to store them. Why doesn't the program launch when I click "run" on my Windows 8 machine? A blue bar will pop up stating "Windows protected your PC"
Do not click OK, instead click "More info"
When the next blue bar appears, click "Run Anyway" and continue with installation. When do I need to enter the license code you sent me? You will be prompted for an email and license code when you launch each program on each computer. 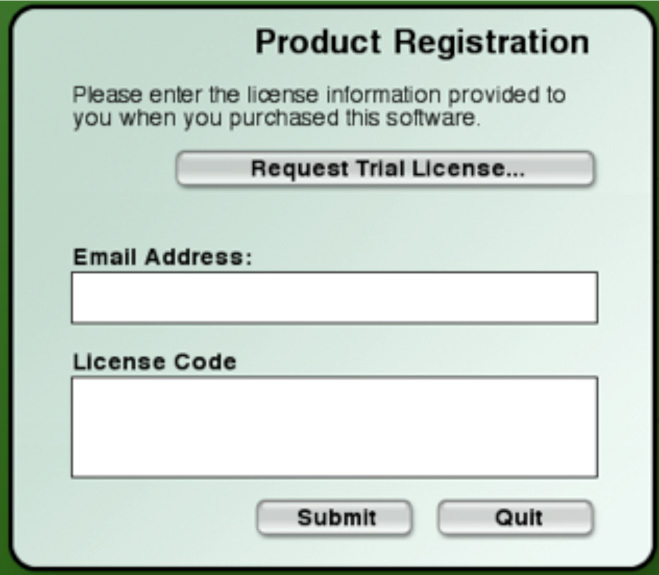 If you do not have a license code, you can request a 24 hour trial. I entered the code you sent me but received a message indicating that the license code could not be found - what can I do? If your default font does not show the difference between the number 1 and the letter L, you may have entered it incorrectly. Try copying and pasting the whole license code. Use "Control C" on Win or "Command C" on Mac to copy and "Control V" or "Command V" to paste. I understood that printable workbook materials were included, how can I find them? They are in a folder/directory called Support Materials; student materials can be opened freely, for teacher materials you will to need to enter the password supplied when you purchased the program. A message pops up "You are not connected to the internet" but I am, what can I do? Some school districts block sites from accessing the computers in the schools. Make sure digitalfrog.com is in the "allowed site" list in your Firewall protection program. A message pops up ""The Digital Frog2" can't be opened because it is from an unidentified developer" This prevents me from adding the license code, what can I do? If you are running Mac OSX 10.8 or later you must change the permissions in System Preferences. In the System Preference pane go to Security & Privacy, General, under the " Allow applications downloaded from:" heading choose Anywhere. Are there any short cut keys I should be aware of? Cmd Q (Mac) or Alt F4 to Quit. I noticed the cursor changes shape sometimes – does this mean something? Are there any other features I should be aware of? I am not sure what licensing to purchase; where can I find info on the various options? Note that all licenses allow you to capture and use any graphic, video or text in non-commercial projects (except for the few bird pictures we licensed from elsewhere, which are labeled Not to be Reproduced).